Looking to plan a fall or winter ski trip? 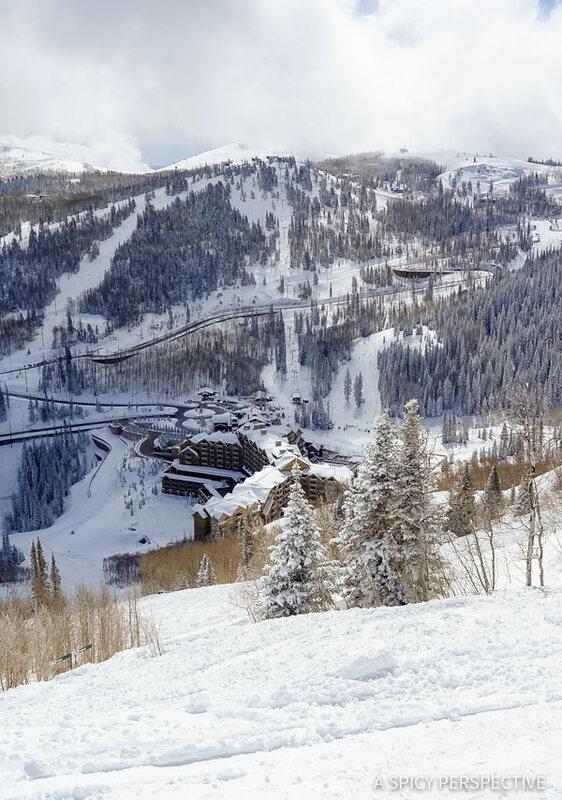 Let me tell you Why You Should Ski At Deer Valley Ski Resort this year! It’s squelching hot outside, summer is coming to an end, and I’m ready for my antsy kids to go back to school… And I don’t even feel bad about it! No matter how ready I am to get them out of the house, I can tell you based on past experience that one month from now, I’ll be longing for my kids’ fall and Christmas break when we can spend our days together again, laughing, playing, and making memories. 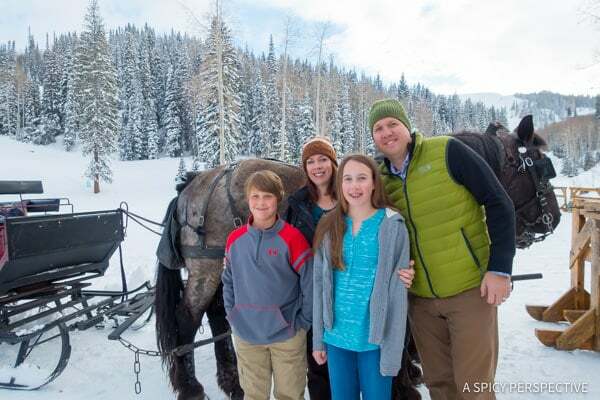 Right now is the perfect time of year to plan-ahead for a family ski trip. You’ll have first-pick at the resorts and will have something to look forward to all fall! Last year was my first time to ski in over 20 years. I can’t believe I just admitted that… Please don’t do the math. It was Lt. Dan, Ava and Carson’s first time to ski. 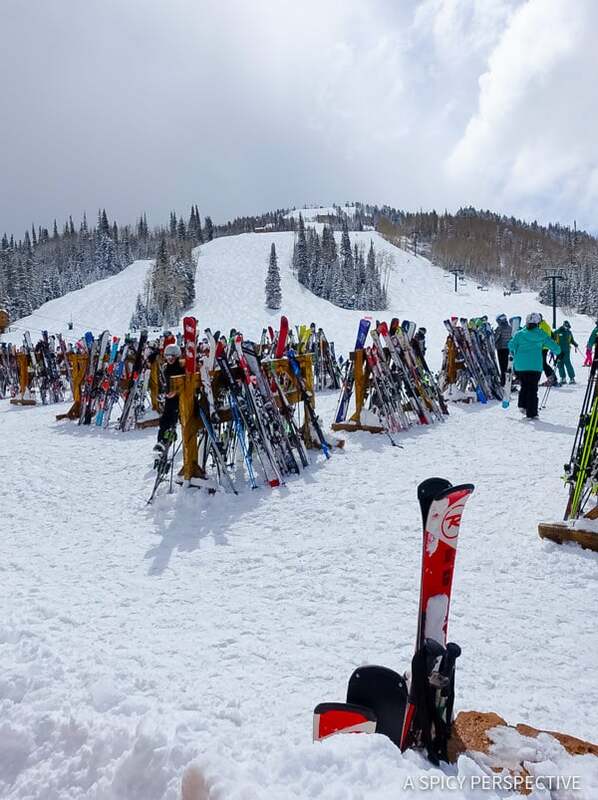 We took a trip out to Park City, Utah and spent a week skiing at the three resorts in the area, Deer Valley Ski Resort, Park City Ski Resort, and the Canyons Ski Resort. 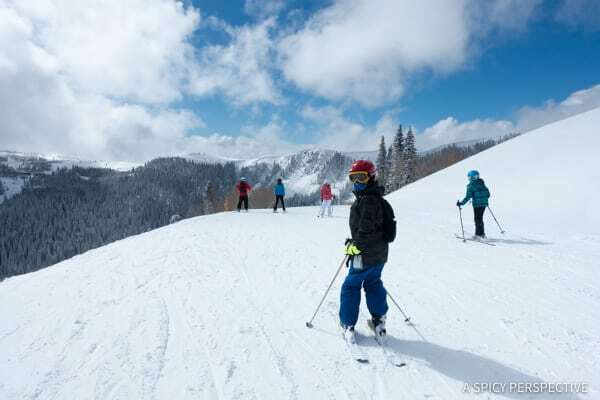 Although I hadn’t skied in a long time, I did ski at quite a few places in younger years, including several well-known resorts in Colorado, a couple popular resorts in New Mexico, and a couple small ski resorts on the east coast. Of all the places I’ve skied over the years, without a doubt, Deer Valley Ski Resort is my favorite. 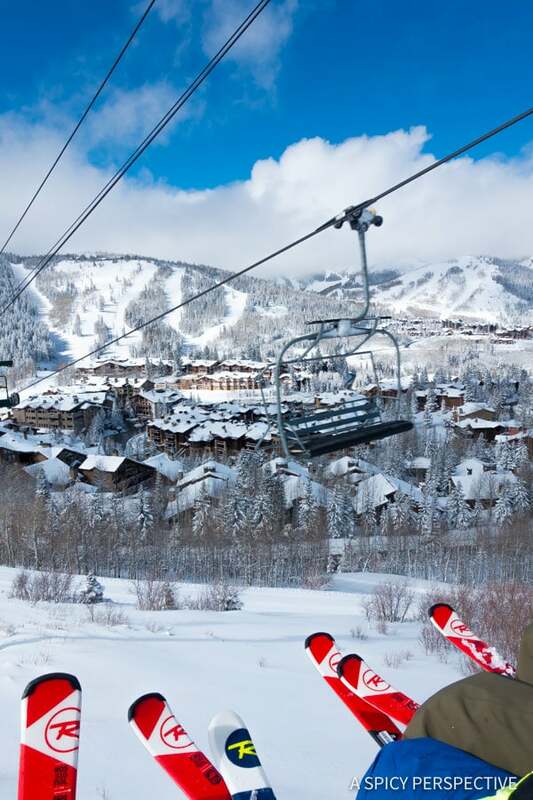 So this year when it was time to plan another ski trip, Deer Valley was first on the list! Why? I’m so glad you asked! 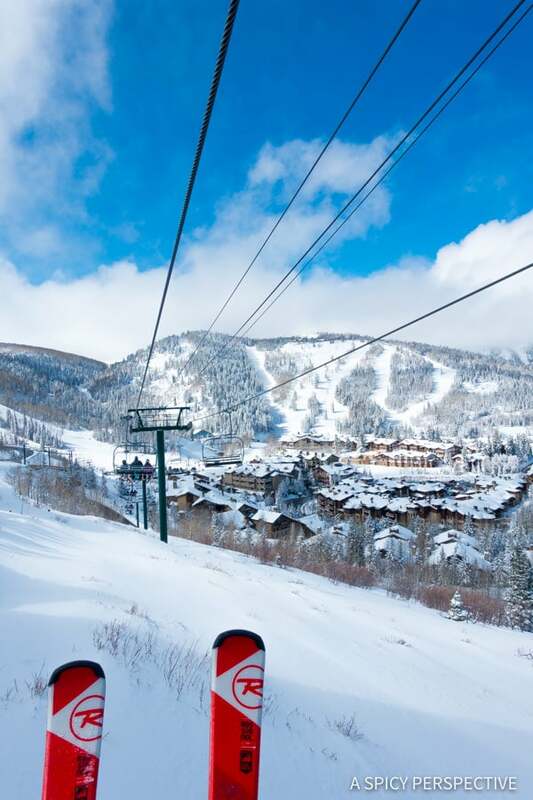 Deer Valley Ski Resort is known among skiers for providing a truly lavish top-notch ski vacation experience. The customer service at Deer Valley (in the lodges, in the resort restaurants, and in the ski school) is second to none. Every employee we met was friendly and helpful, often going out of there way to make sure we were taken care of. Skiers from all over the country (and world) come to work at Deer Valley Resort, with the benefit of getting to ski there. We loved hearing the stories of the ski instructors, wait staff, shuttle drivers, and shop clerks. Each person’s story varied in education, family background, and former career path. Yet the one common thread was that they all loved to ski and had to be at Deer Valley. 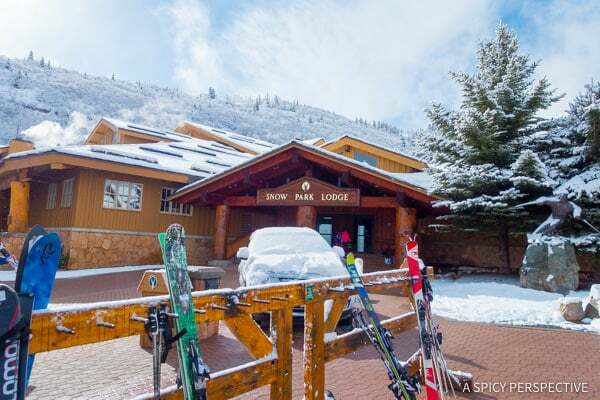 Little things like free overnight equipment storage, glove and boot dryers, shuttles around the resort, and free car services all the way into old town Park City are perks you don’t find at every ski resort. 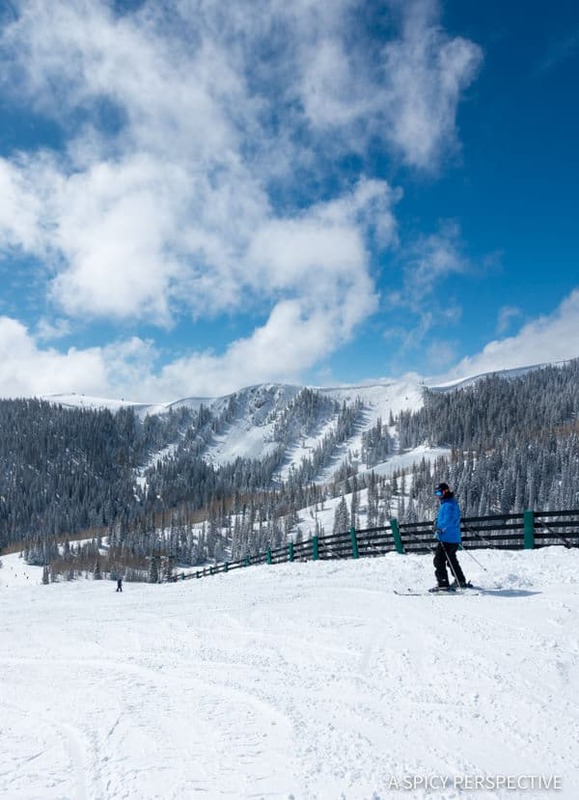 Deer Valley is known for keeping their slopes groomed better than anywhere else in the area. With the best snow blowing and grooming equipment (and staff) around, the ski runs are open and smooth even when others aren’t. 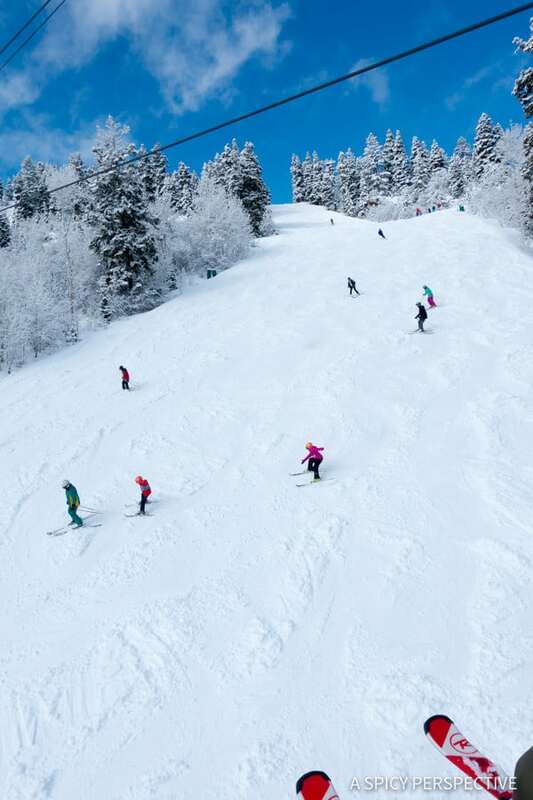 We can attest after skiing at Deer Valley, Park City, and The Canyons all in the same week, that the slopes at Deer Valley were the most pristine and easy to navigate. Deer Valley is also believed by many to have the best ski school in the country. Locals drive to Deer Valley from all over the area to enroll their kids in the ski program. Both years we’ve visited Deer Valley Ski Resort, our kids have been in ski school. They have loved their instructors (which wasn’t the case at other resorts) and learned so quickly they have nearly passed us up in ski ability. 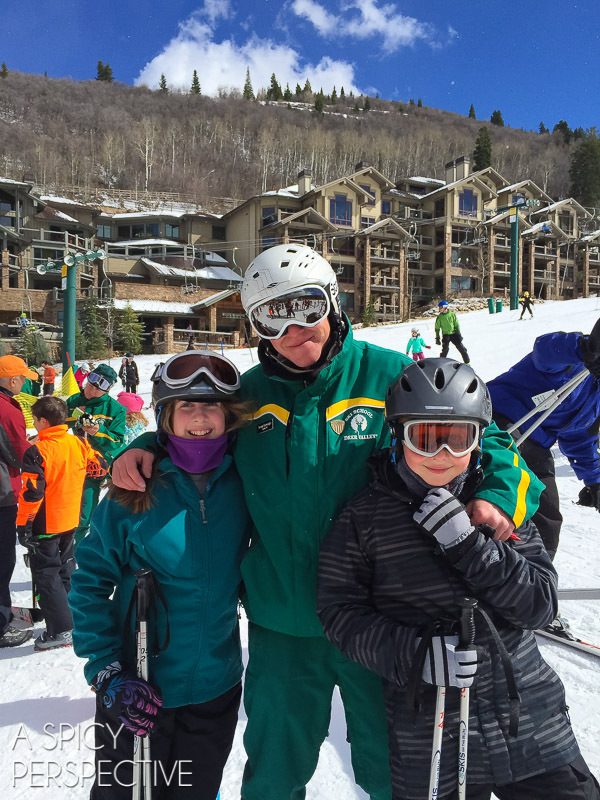 In fact, they enjoy their days in Deer Valley Ski School more than they like skiing with mom and dad! The instructors encourage them to take calculated risks in order to improve, whereas mommy (me) frets over every turn they make. Lt. Dan and I took private lessons with a Deer Valley ski instructor, both years, and have been greatly impressed. It’s amazing how quickly skiing comes back to you, when you have a professional instructor to watch and correct your technique on the first day. 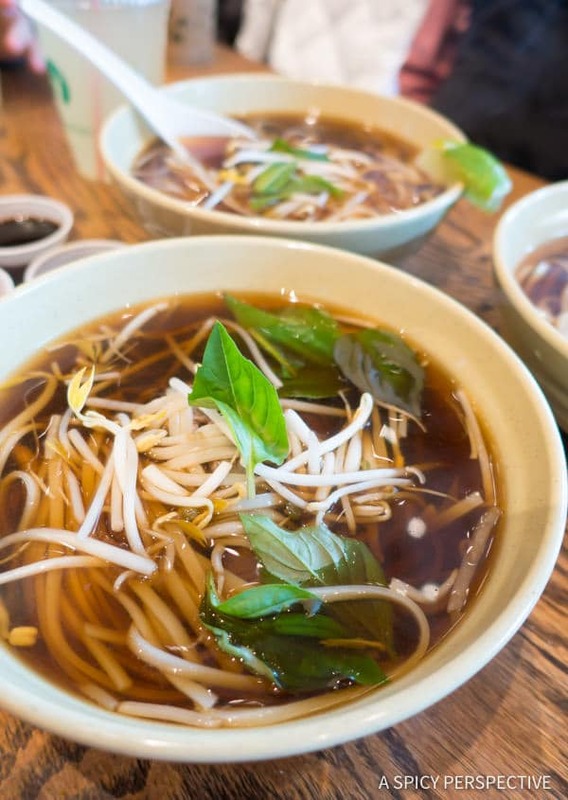 Deer Valley Ski Resort has also made a name for itself in the culinary realm, attracting not only skiers, but foodie travelers as well! 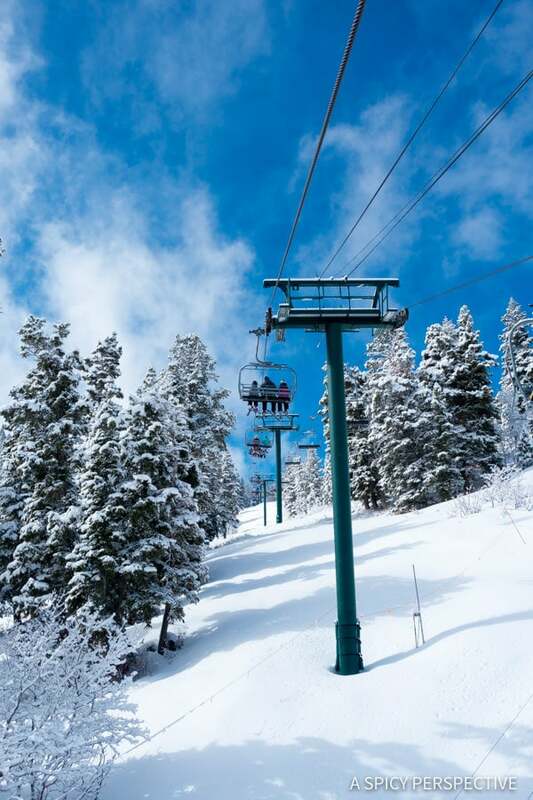 Deer Valley Ski Resort offers seventeen (17!) different dining options spread over three areas on the mountain. There are casual cafeteria-style dining areas for a quick breakfast or lunch before heading out on the slopes. 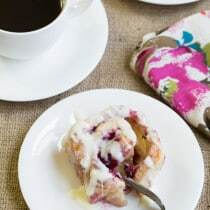 There are coffee and snack shops, a bakery, and a frozen yogurt shop for easy grab-and-go treats. 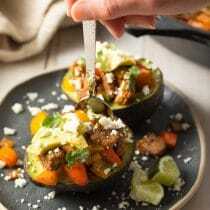 There are family-friendly dinner options, that offer excellent meals in a casual lodge setting. Then there fine dining options for a special night out! 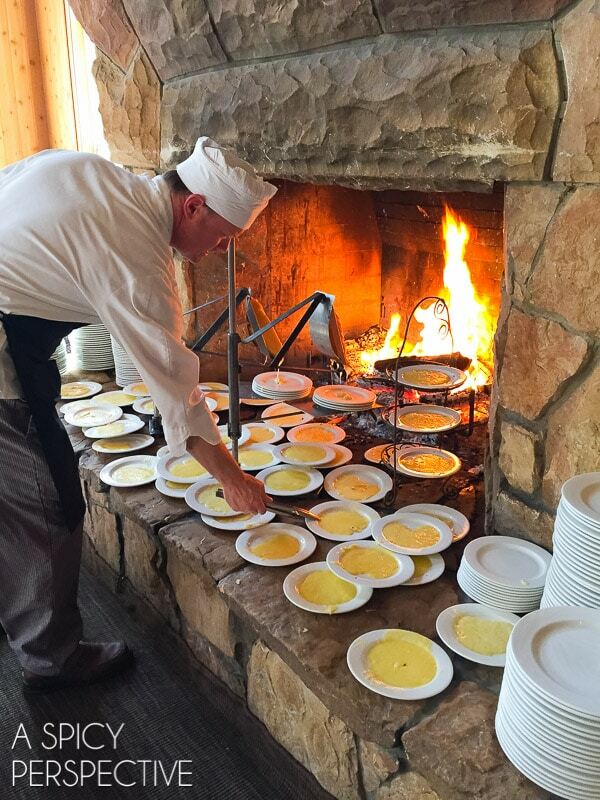 Fireside Dining at Empire Canyon Lodge – This is a must-experience meal while in Deer Valley! An enormous 4 course buffet-style dinner is prepared around 4 large wood-burning fire places. 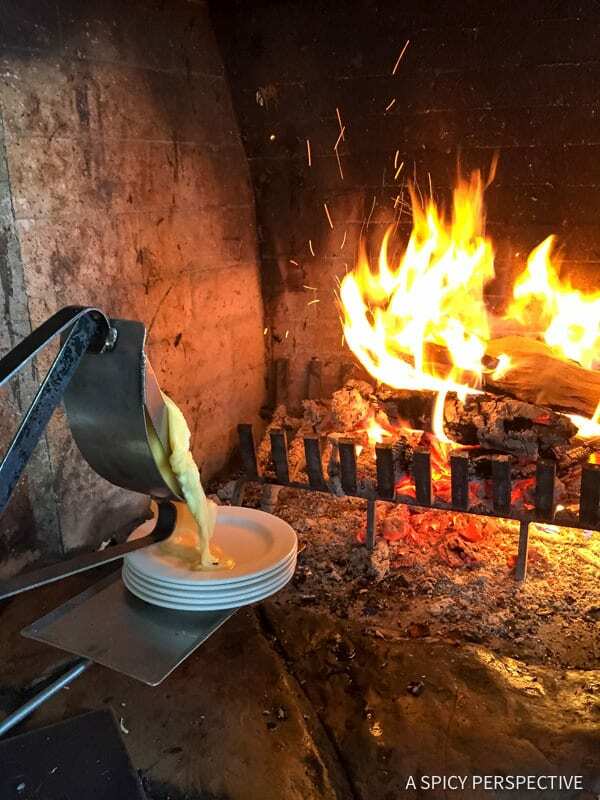 One fire place is dedicated to molten Swiss Raclette… Cheese that melts down onto plates for dipping bread, pickles, and cured meats. 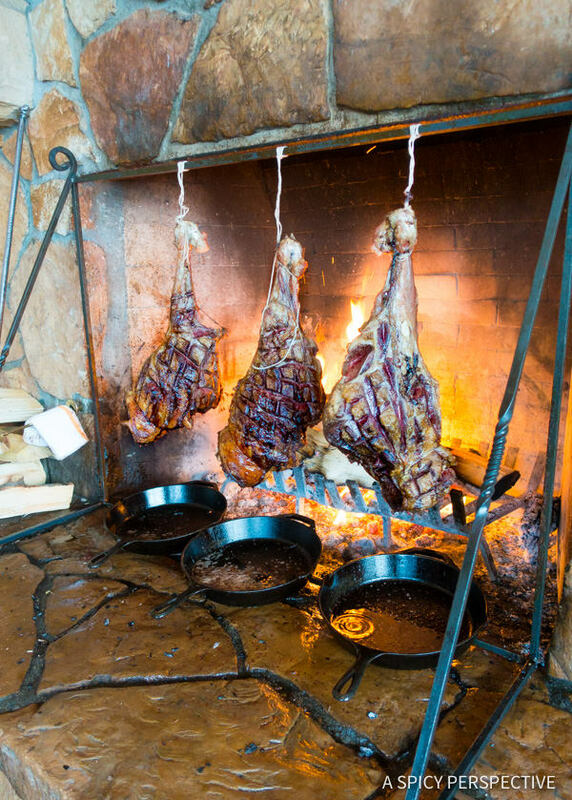 There are also various soups and salads, as well as several meats and side dishes cooked by the fire, including hanging legs of lamb. Then for dessert, don’t miss the fireside fondue station with melted chocolate, white chocolate, and caramel sauce. Make a reservation and come hungry!! 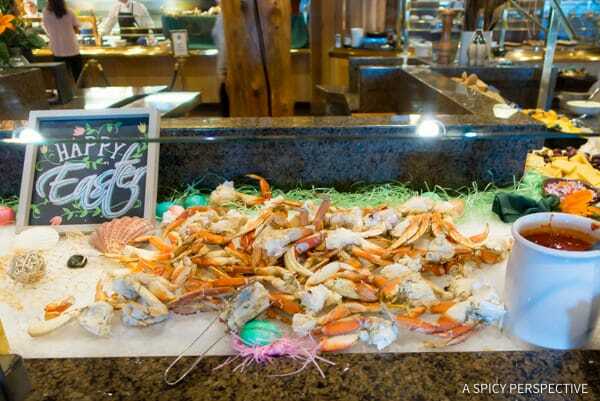 The Seafood Buffet at Snow Park Lodge – This is our second choice must-experience meal at Deer Valley. However, if you prefer seafood to meat, this is the first choice. 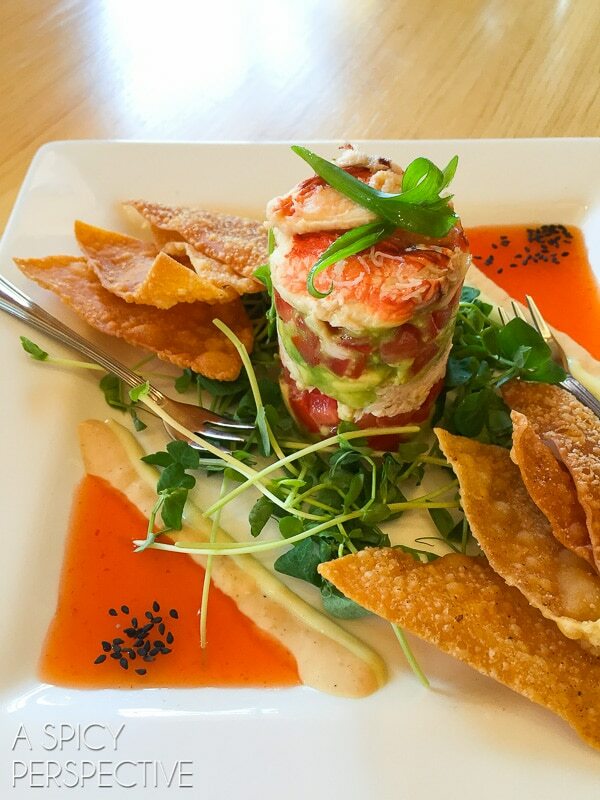 Fresh seafood is flown in daily in preparation for this casual, yet lavish meal. 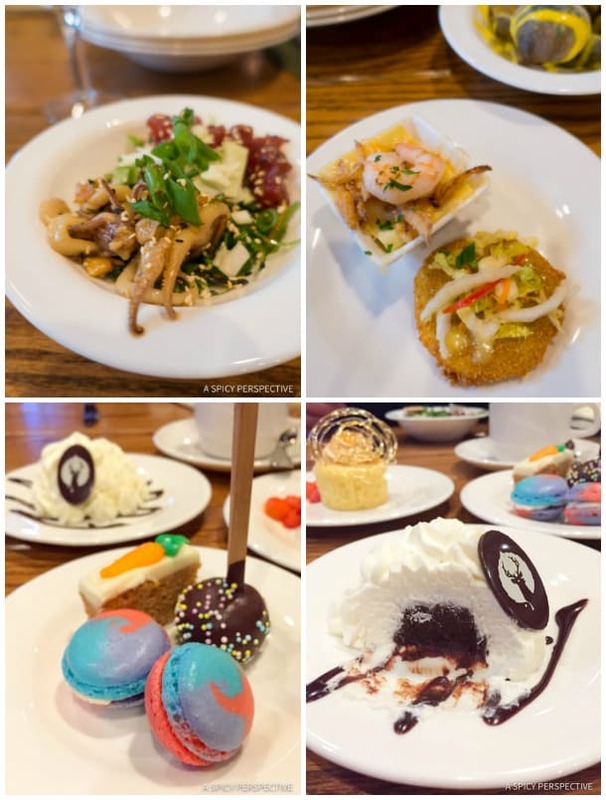 The dining room is covered with stations serving multiple types of crab legs, oysters, hot seafood appetizers, grilled and baked fish, salads and side dishes. 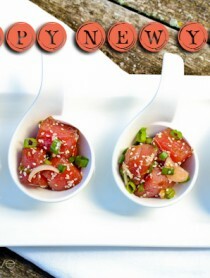 There’s is even a poke bar, serving various types of Hawaiian Poke! 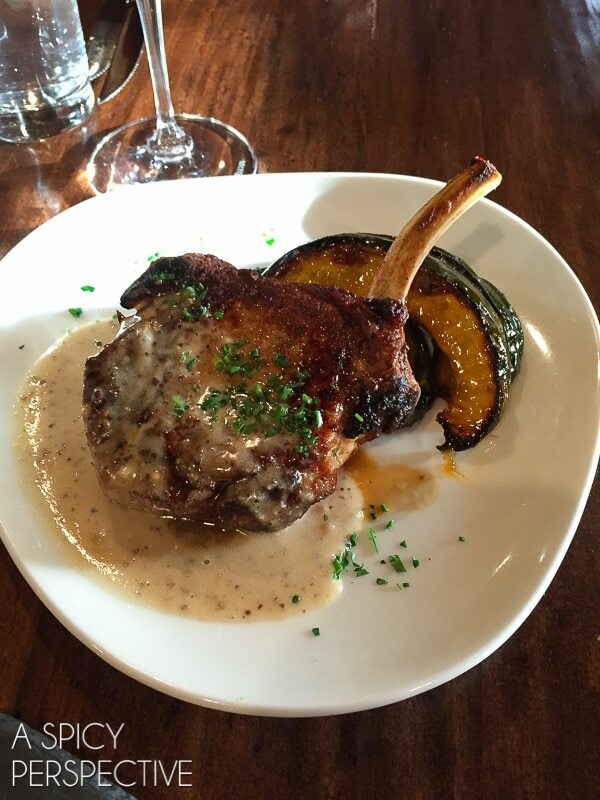 Again, make a reservation and come hungry. 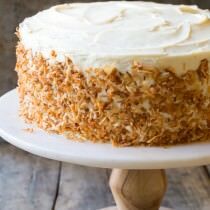 Make sure to save room for the seemingly endless dessert bar. Royal Street Cafe at Silver Lake Lodge – A casual lunch and dinner spot in the middle of the resort, serving unique appetizer options, killer burgers and tacos, a gluten free menu, and fabulous cocktails. 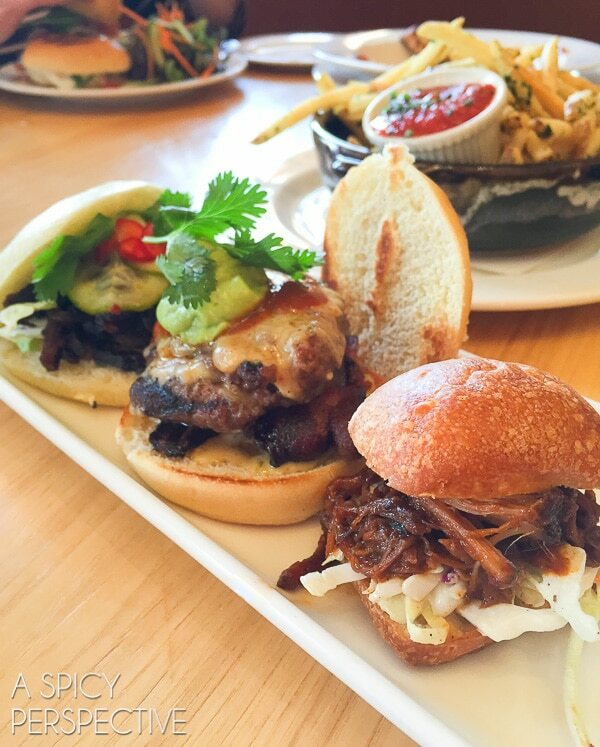 Try the Dungeness Crab Tower and the Bison Burger! 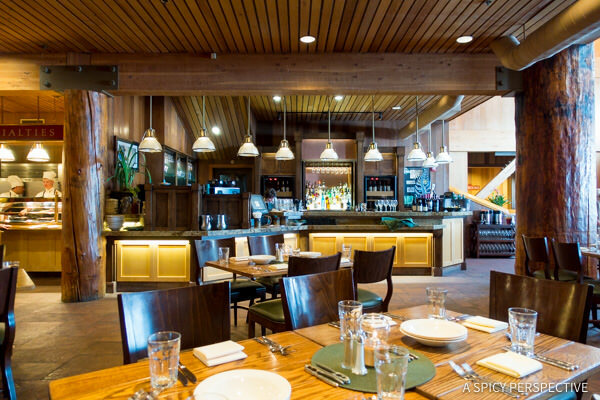 Brass Tag in The Lodges at Deer Valley – A casual family restaurant open for happy hour and dinner each night, serving sizzling brick-oven entrees and desserts! Don’t miss the Brass Tag Potato Chips! Grocery Cafe in Deer Valley Plaza – Grab breakfast or lunch at the bottom of the mountain, in a casual setting overlooking the pond. 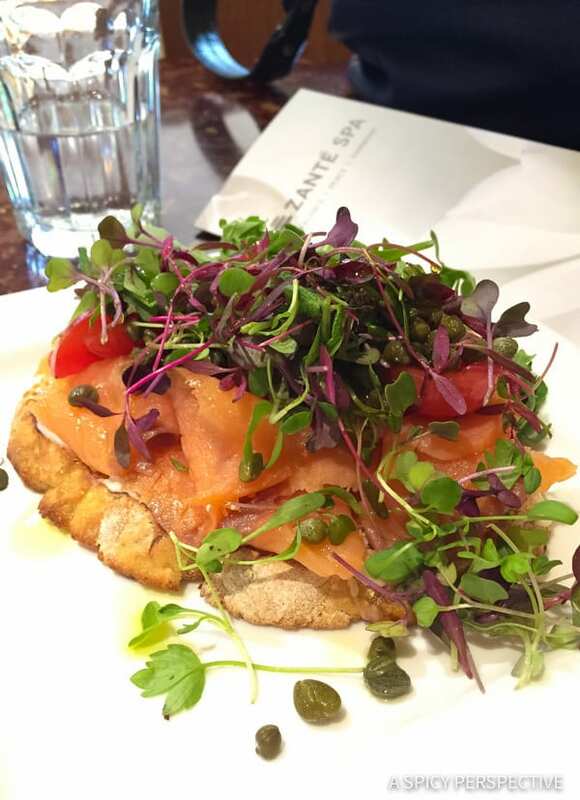 Grocery Cafe offers the best quick breakfast at Deer Valley (in my opinion) with creative and healthy options like this Lox Toast with Micro Greens! This is also a great place to pick up to-go meals and snacks to take back to your condo. 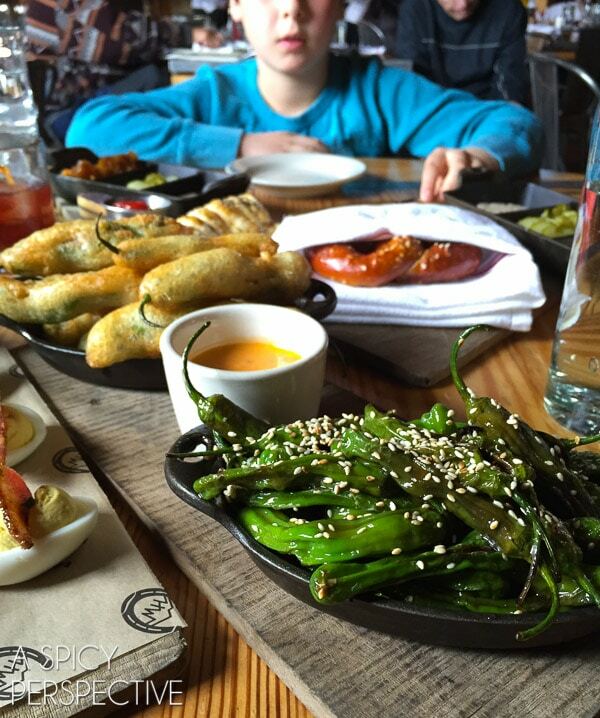 If you want to head into old town Park City for a night on the town, our two favorites restaurants are Riverhorse on Main, and High West. 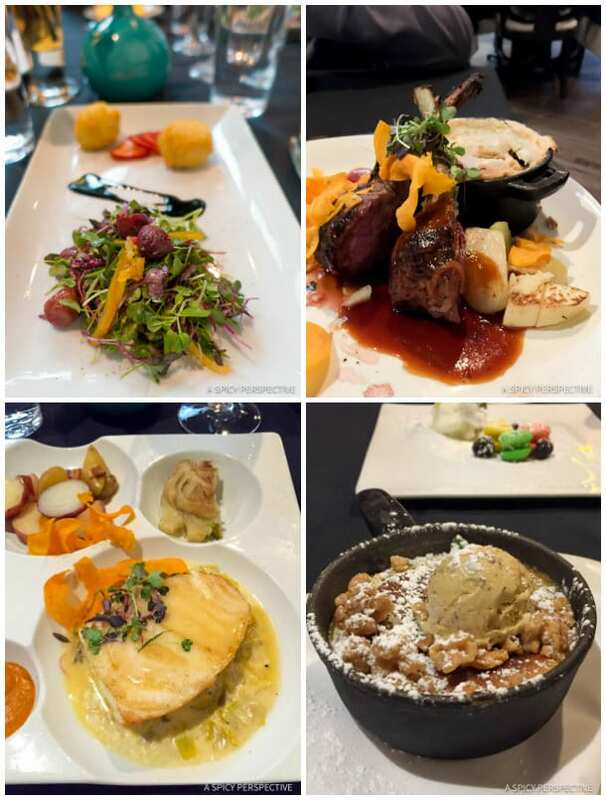 Riverhorse on Main serves creative American cuisine, using local and regional ingredients, in a stunning dining room overlooking Main Street. High West is a casual distillery and restaurant, serving the best whiskey this side of Kentucky, and a whole lot of yummy small dishes! Be sure to order the soft pretzel with beer cheese, and the shishito peppers. 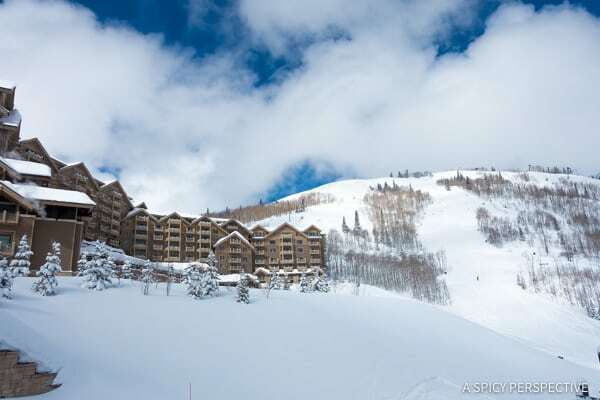 Deer Valley Ski Resort offers dozens of accommodation options from ski in/out private homes for rent, to lodges and condominiums. 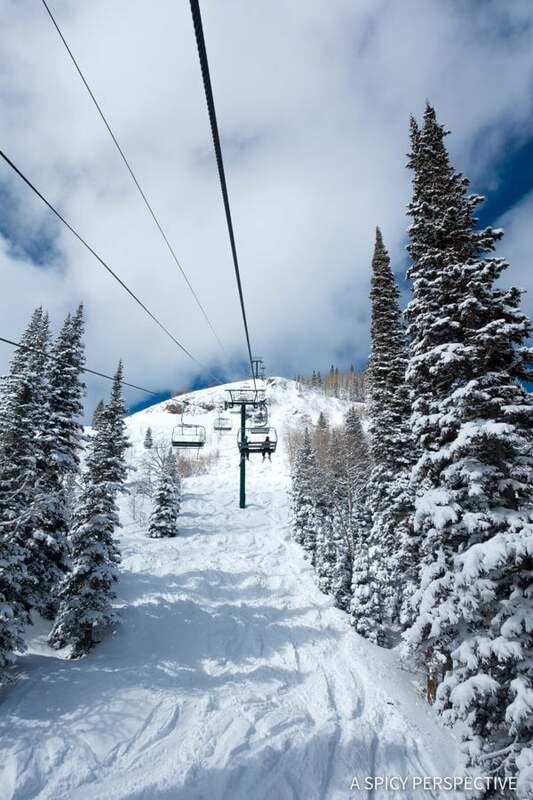 All Deer Valley properties offer their exclusive Signature Collection guest services, including shuttle and car service, wifi, housekeeping, in-room laundry facilities, and lots of extra little bonuses! We have now stayed in two different Deer Valley properties and have been pleased as punch in both places. 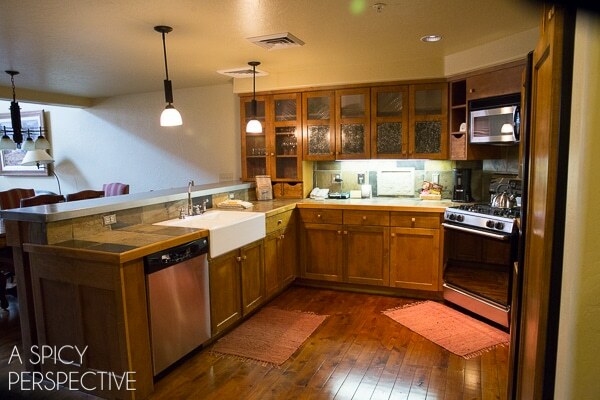 Lodges at Deer Valley – Located at the base of the mountain, these gorgeous condominiums are spacious and luxurious. 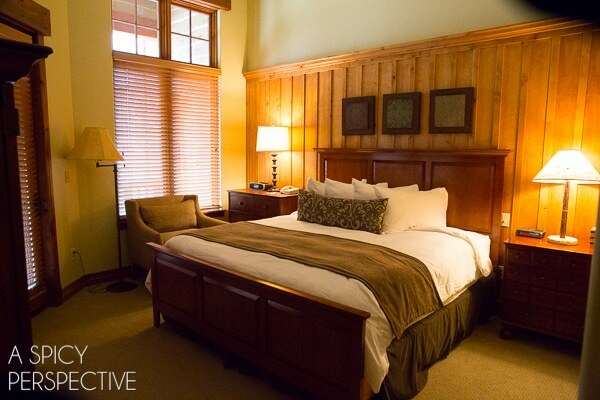 With full kitchens, large bedrooms, outdoor hot tubs, a heated pool, a fitness center, apres ski snacks, and a complementary breakfast, it’s like home… But better! Daystar – These duplex-style condominiums are slightly less luxurious than the Lodges at Deer Valley, but offer a lot more privacy. 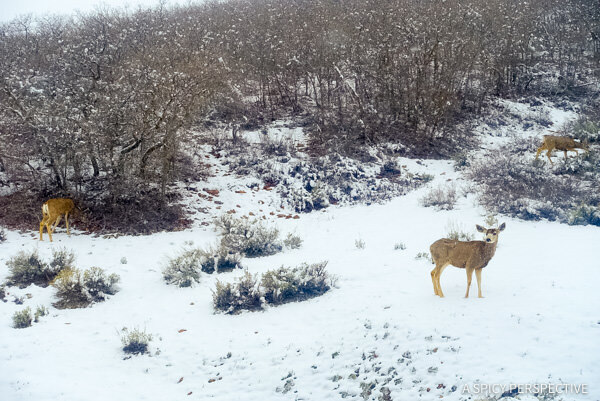 Our three bedroom unit was surrounded by a natural brush setting that invited wildlife to our windows! 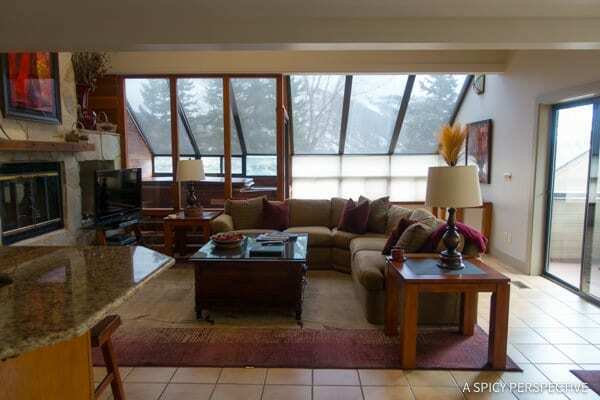 It also had an indoor hot tub set in a sunroom off the living room. 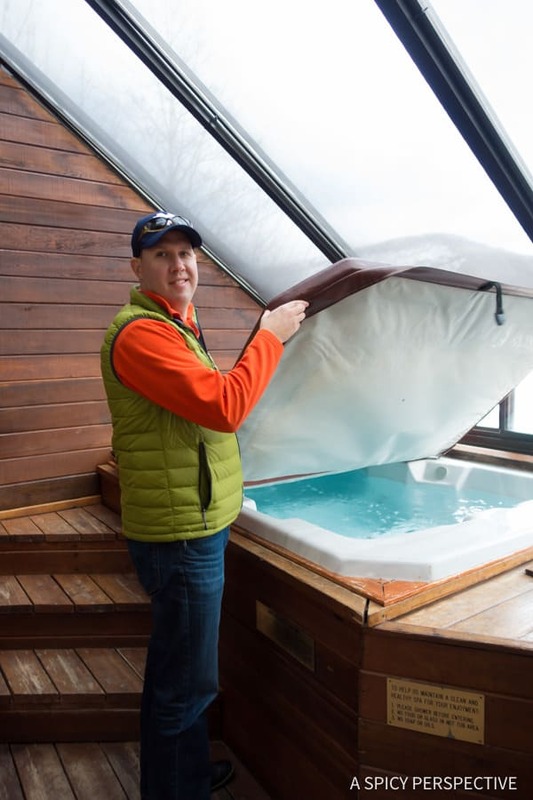 It was such a pleasure to come back to the condo after a long day of skiing and soak in our private spa! Deer Valley has activities going on all year long, in and out of ski season. 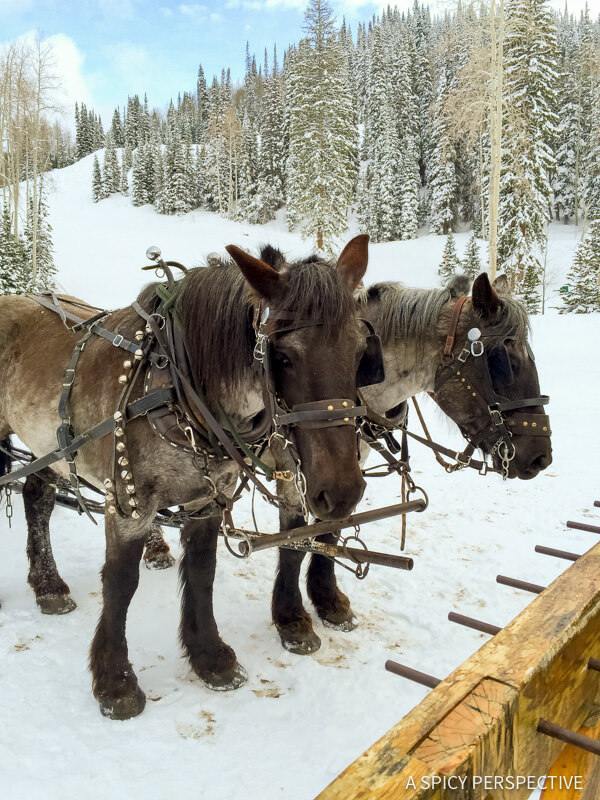 Throughout ski season you can go snowmobiling, snowshoeing, watch or participate in a ski competition, go on a horse-drawn sleigh ride, and shop ’til you drop. Yet when it’s all said and done, you must must must go to the spa to work out the kinks and get your skin back on track before heading home. Zante Spa, located in Deer Valley Plaza is the perfect place to relax after a vigorous day of skiing. This lush mountain spa offers highly customized treatments in a cozy setting. Whether you are looking for a facial, massage, acupuncture, or a beauty-booting treatment, the therapists at Zante do a marvelous job of detecting areas of concern, then tailoring your treatment to meet your needs. After a fabulous week of skiing in Utah’s arid high elevation, my skin was screaming at me. Owner and master esthetician Loren Kornreich gave me the absolute best facial of my life, that not only felt soothing and nearly put me to sleep, but infused moisture back into my skin. 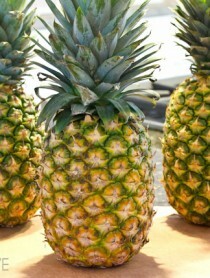 Last year when I returned home, my face peeled from the harsh conditions. However, after my facial at Zante this year, I was able to return home without any ugly side effects from skiing. Loren even sent me home with a moisturizing mask to continue to heal my dry skin. Thank you Loren!! When you book your Deer Valley Ski Vacation this year, I highly recommend scheduling spa treatments at Zante Spa near the end of your trip. 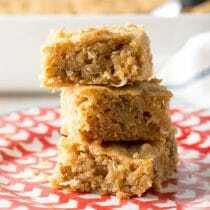 I guarantee you are going to want them after a couple days of skiing. Booking your appointment now will ensure to get the time and services you need! 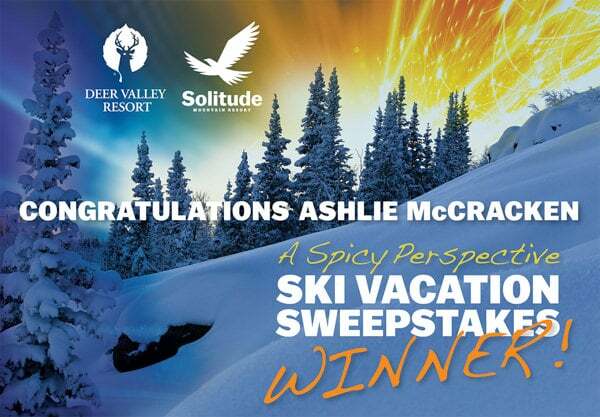 You Can Win a $5000 Ski Vacation Package! $1,000 in resort dining credits. Note: By entering this giveaway, you will automatically be added to the weekly mailing list. If you do not wish to receive the emails, you can unsubscribe at the the bottom of the email. Disclosure: Our family was hosted by Deer Valley Ski Resort. However, all opinions are our own. Thanks for the detailed guide for this trip to deer valley. Every year I try to go on diff holiday locations and I really like this place. well done. Deer Valley is just breathtaking. I have been there a couple of times and I will keep on coming back. Deer Valley holds a special place in my heart. I have only skied there once. 19 years ago the love of my life tried over and over to get me to cut my long rebel hair. I made a deal I would cut my hair if she paid for the ski trip of my choice. She agreed and Deer Valley it was. We unfortunately have never been able to return. We are celebrating our 19th wedding anniversary this year and what an experience it would be to revisit the place that spiced up our life and took my hair. Yes I have never grown it back since. The spice will be there but my hair wont. I love skiing Deer Valley. I should win because I learned so much about rhythm while skiing behind my favorite skier, Stein- he owned it and opened my eyes as to what FLOW meant. Also, I truly, deeply, and whole-heartedly LOVE Deer Valley and haven’t been able to get back there due to difficult financial circumstances the past 15 years! I MISS IT!!! I haven’t skied in years! I used to say it was the only sport I could do and enjoyed. How I miss it. 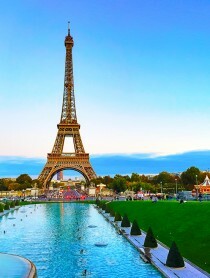 This would be a really fun vacation and so beautiful!